Thanks to SingNet for the Macbook + Broadband bundles, I managed to bag a 2011 Macbook Pro at $1400 SGD. This is $248 off the list price on Apple Store. i got Macbook Pro from the folks who are selling the sets to offset their monthly broadband package. There are a lot of such offers on the Hardwarezone Singapore Forums. 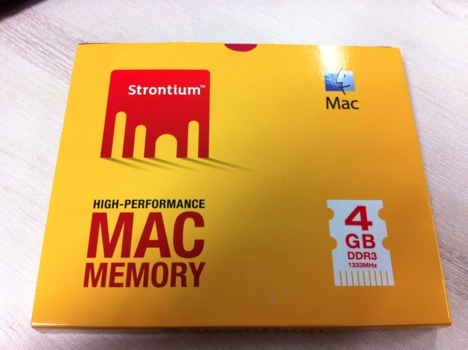 Another colleague was with me to get the 1066Mhz for the older revision of the Macbook Pro, but there was no stock. He’s now trying out my 2 pieces of 2GB DRR3 1333Mhz. If it works, he will get the 4GB equivalent. Technically it should work, but there are a lot of people commenting in forums that Mac machines are particular about these minor details so we won’t know until he has tested. I will post an update on the outcome. And as always, when you are buying an Apple product, it doesn’t just end there. There are (expensive) peripherals and accessories to buy. I always thought Mac accessories are overpriced. Getting them locally could easily set me back by another $200 at least. So, the natural option is to get from 淘宝 (http://www.taobao.com). The final thing to get for the Macbook Pro is the AppleCare Protection Plan. Given my prior pleasant experiences with Apple, I’m willing to fork out extra for the additional 2 years of warranty for a peace of mind for the next years.